It is quite embarrassing to admit that I do not know how to put on make-up. Except for blush and lipstick, I always seek professional help whenever I need some color on my face. Having a highly sensitive skin did not help at all to motivate me to learn how to put on make-up by myself. 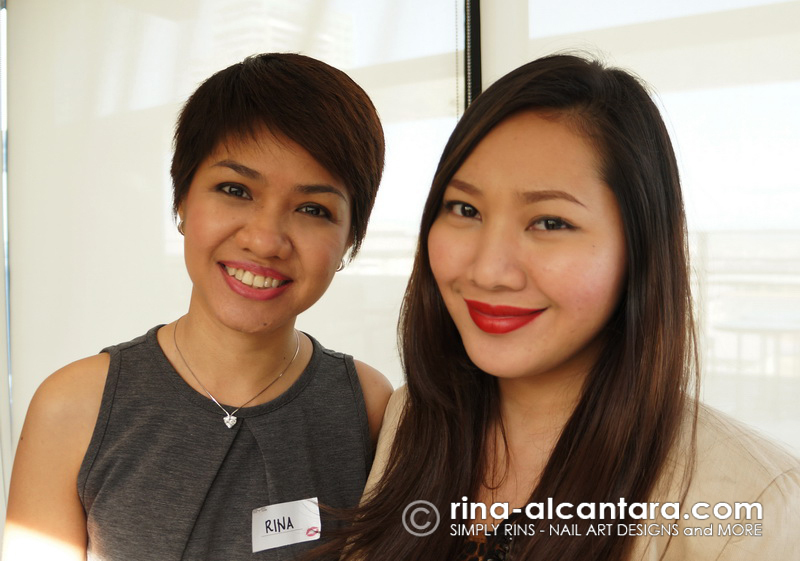 But after a recent makeover and being introduced to BYS Cosmetics that offers a wide array of make-up essentials without overpricing, I have reconsidered learning how to apply make-up. Some BYS cosmetics awaiting to be tested. It was earlier this month that BYS launched its Spring/Summer forecast for 2013. Participants were presented with a vast collection of BYS cosmetics that were arranged in train cases, placed in front of make-up mirrors. We were free to scrutinize and try for ourselves all the available products. It was overwhelming. As I have learned, BYS stands for Be YourSelf. It is developed in Melbourne, Australia and is considered one of the biggest cosmetics brand in the country. BYS is exported globally and is currently in Estonia, France, Japan, some countries in the Middle East, Myanmar, New Zealand, New Caledonia, South Africa, UK, and now also distributed here in the Philippines by iFace Inc.
BYS claims that it puts product safety above all. Their products passed the US FDA (Food and Drug Administration), EU, and Japan standards, which are known to have strict standards. Moreover, BYS products are NOT tested on animals. This award-winning brand strives to continue providing fun, fashionable, and high quality cosmetics that is affordable. As of date, BYS offers more than 1000 cosmetic products in the market. And as a nail artist, I am very curious with their nail polish line that boosts variety. They have scented, UV, nail art products, and a lot more. Hopefully, I'll be able to review them here. Browse through their products here. 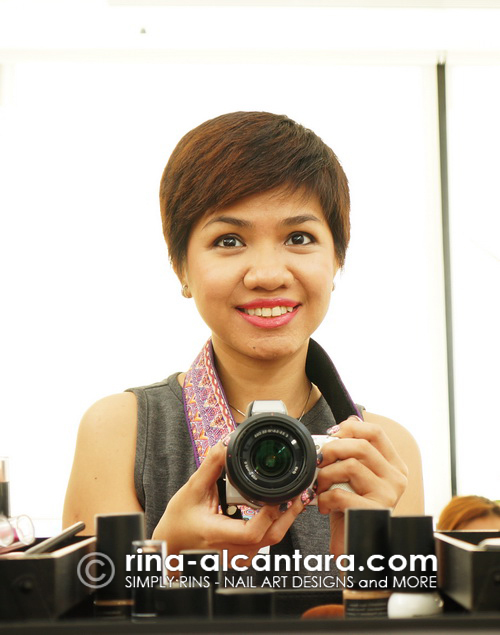 Since I didn't really know what to do (literally) with all the make-up infront of me, I was offered professional help. I think that meant my ignorance was shining so brightly during the day of the launch! Thanks to Ms. Carell Garcia (one of BYS make-up artist), I had an impromptu makeover and she was very patient to give me a crash course on how to do it myself! Ms. Carell gave me a day look without looking too made up and I liked it! Now where are my blemishes? And the most important thing was, I wore this the entire day just to see if it will last and if it will irritate my skin. Well, it did last and my skin was fine even after I took it off in the evening. It didn't cake either, considering I have oily skin. 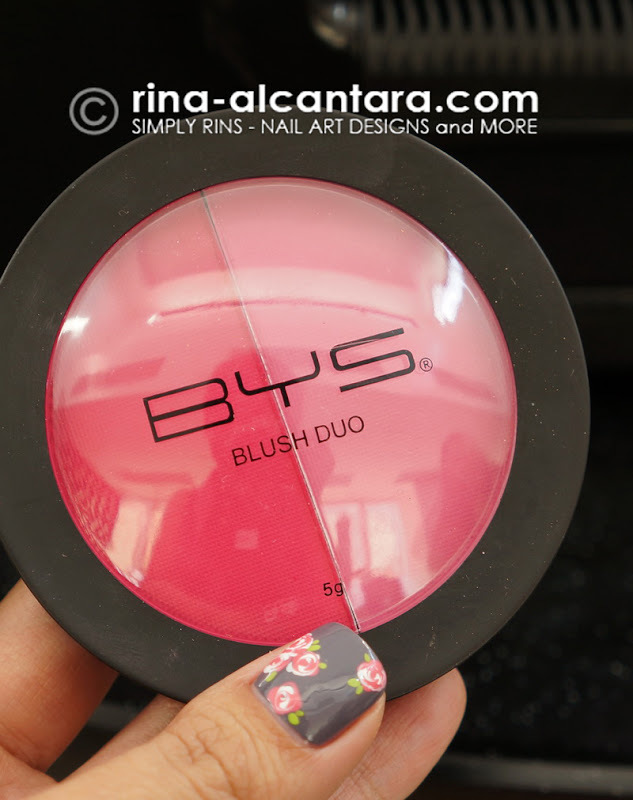 The BYS Blush Duo was highly pigmented (like most of the BYS make-up line) that you only need a few dabs on the palette to get a good coverage. This is definitely a value added to your money. This was the blush Ms. Carell used during the makeover. 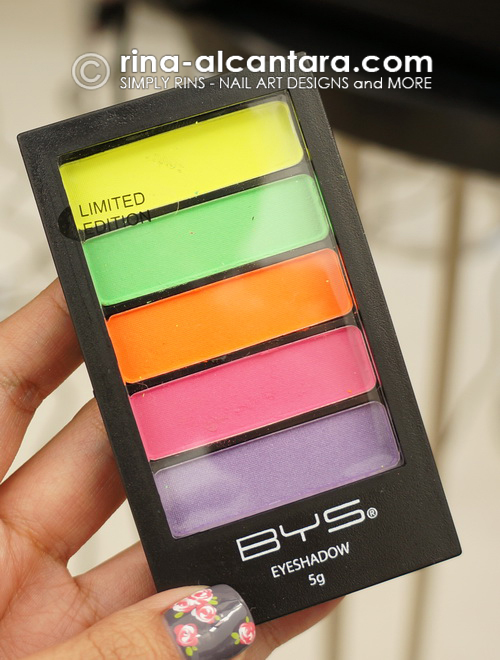 This is the BYS Neon Eyeshadow palette in limited edition. Now, if only I'd know how to blend colors on my face so it would classy. Hopefully, I'd get there. I'd like to get this for myself one of these days. No matter how much I would like to learn how to put on make-up, having very sensitive skin forces me to be very choosy to the kind of cosmetics that I put on my face. Often, I find myself in make-up counters that are very expensive as they are one of the few that offers products to my skin type. 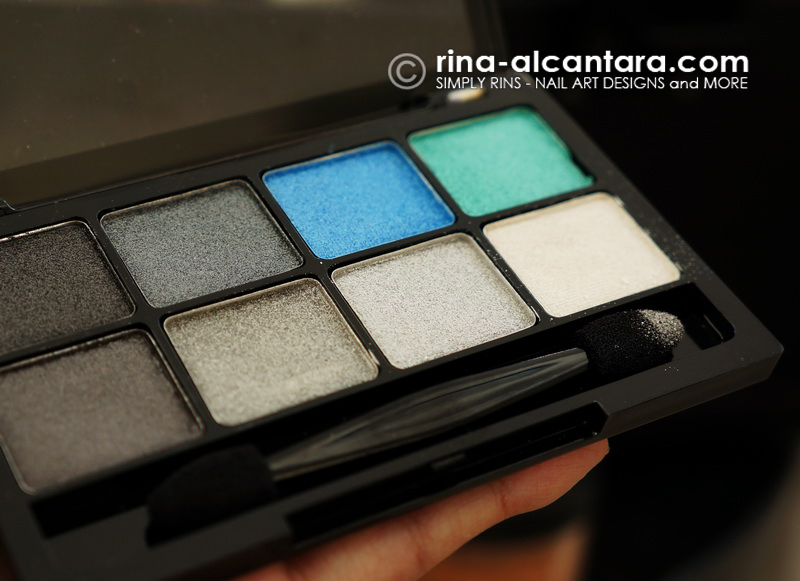 And so I was glad to know that BYS has an affordable mineral make-up collection! Perfect for my sensitive and oily skin. The BYS Mineral Naturale is 100% mineral, that means it has NO chemical, NO dyes, and NO preservatives! Have you ever used BYS? Care to share your experience with me? 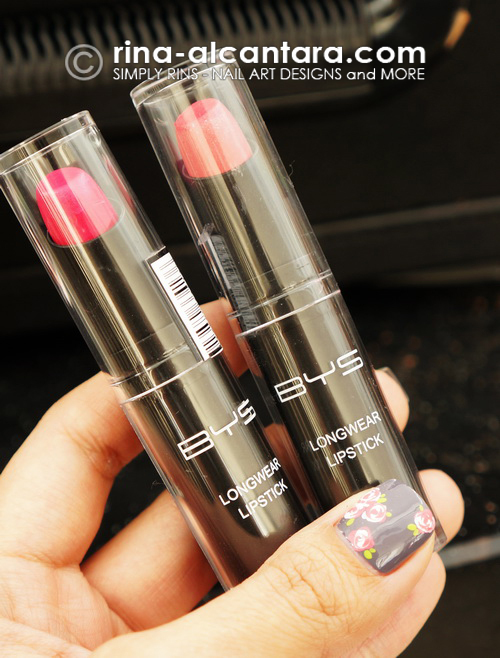 Note: BYS Cosmetics is available here in the Philippines at SM Department Stores and selected Watsons branches. And those nails... agaw eksena. Sana you could have included the price...But anyway great review/s.